The issue of the Islamic veil, especially the face-covering burqa or niqab, has become extremely contentious and controversial across large parts of Europe. France�s former president Nicolas Sarkozy created a huge controversy by stating in his first state of the nation address on January 22, 2009 that Islamic veils were a sign of women�s subservience and debasement and therefore not welcome on French soil. A cross-party commission of French MPs appointed by Sarkozy to consider a ban on face-covering veils recommended a ban on face-covering veils or burqas in schools, hospitals, post offices and other state-owned premises and while using public services. On September 14, 2010, the French Senate unanimously passed a bill banning the face-covering veil or niqab in public places. France is the first European country to pass such a law. The bill sets a fine of 150 euros for women who would violate the ban, and a fine of 30,000 euros and a year in prison for husbands or other relatives who are convicted of forcing the veil on a woman. On April 30, 2010, 136 of Belgium�s 138 lower house legislators voted to ban the burqa in the country. In Spain, nine cities in Catalonia, including Barcelona, have banned the burqa. Switzerland and Austria are considering outlawing face-covering veils. According to a survey carried out by the Washington-based Pew Research Centre�s Global Attitudes Project, a clear majority of Germans, French, Spanish and British support a ban on the burqa and the niqab. Most Americans, on the other hand, disapprove the ban. A parliamentary committee in Italy passed a bill aimed at banning women from face-covering veils in public on August 1, 2011. It is interesting to note that only a tiny minority of Muslim women in European countries wear the full-face veil or niqab. 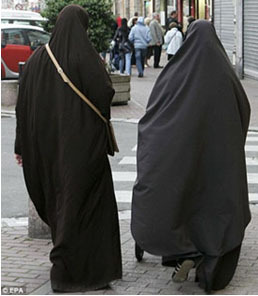 In France, for example, the number of women who wear the face-covering veil does not exceed 2,000. Nearly one-quarter of them are French women who have converted to Islam. The full-face burqa is a rare feature on the streets and boulevards of the country. 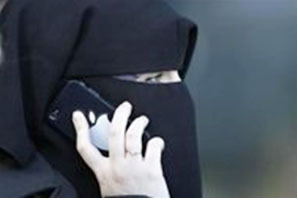 In Belgium, where the population of Muslims is estimated to be around 8, 50,000, only a few dozen women wear the niqab. The ban on face-covering veils has not gone unchallenged. On March 7, 2010, Thomas Hammarberg, the Council of Europe�s human rights commissioner, said that banning the burqa and the niqab would be �an ill-advised invasion of individual privacy�. He added that the prohibition of the burqa would not liberate oppressed women but might instead lead to their further alienation. He also said that a ban might also breach the European Convention on Human Rights. On June 24, 2010 the Parliamentary Assembly of the Council of Europe, which advises the council on issues of human rights, passed a resolution urging European Union member states not to issue a ban on burqas and to focus instead on protecting women�s �free choice to wear religious or special clothing�. The Parliamentary Assembly emphasised the priority of �working towards ensuring freedom of thought, conscience and religion while combating religious intolerance and discrimination�. Amnesty International has strongly criticised the ban, saying it is violative of international law, human rights conventions and rights of freedom of expression and religion guaranteed by the constitutions of European countries. The Conseil d�Etat, France�s highest administrative court, has questioned the legal basis for the ban. The ban could be challenged before the Strasbourg-based European Court of Human Rights. Catholic churches in France and Belgium have also criticised the ban. The ban is likely to further stigmatise and alienate Muslim minorities and add to their isolation from mainstream society. 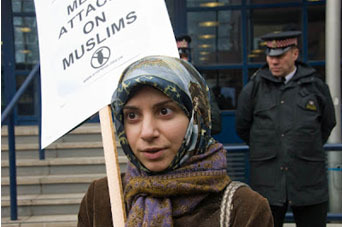 A report of Amnesty International titled �Choice and Prejudice,� released on 24 April 2012, says that laws banning headscarves in public in European societies are encouraging discrimination against Muslims and fuelling hatred against a religion that has been part of Europe�s social and cultural fabric for centuries. The report notes that there has been a rise in recent years in extremist political parties and organizations that unfairly target the cultural practices of Muslims. 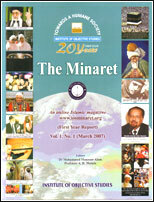 The report says, �Amnesty International is concerned that states have focused so much in recent years on the wearing of full-face veils, as if this practice were the most widespread and compelling form of inequality women in Europe have to face.� The fact of the matter, the report points out, is that only a small minority of European Muslim women wear the face-covering veil or the niqab, a veil with just a slit for the eyes. The report says that banning face-covering veils creates an atmosphere of suspicion of anyone with visibly Islamic dress. The report cites French Muslim women who wear headscarves as saying they have experienced epithets and public pressure since Nicolas Sarkozy started calling for a ban on face-covering veils. Amnesty International spoke to Muslim women who wear headscarves and had experienced problems in getting jobs or had to change schools because of discrimination over the headscarf. The report says Spain and Switzerland, in particular, do not have strong enough laws against discrimination. It highlights cases in the northeastern region of Catalonia where Muslims sometimes have no choice but to pray on the street because the existing mosques are not spacious enough for the local Muslim population and because permission for the construction of new mosques is not granted due to objections from local residents. The report says at least 40 disputes over new mosques had arisen in Catalonia between 1990 and 2008. One Dutch Muslim woman told Amnesty how a travel agency in Antwerp said it could not employ her if she insisted on wearing a headscarf. "We cannot hire you for front-office positions, we do not want to lose clients," she was told. "EU legislation prohibiting discrimination on the ground of religion or belief in the area of employment seems to be toothless across Europe, as we observe a higher rate of unemployment among Muslims,� said Marco Perolini, Amnesty International's expert on discrimination. "Muslim women are being denied jobs, and girls prevented from attending regular classes just because they wear traditional forms of dress, such as the headscarf; men can be dismissed for wearing beards associated with Islam,� added Perolini. "There is a groundswell of opinion in many European countries that Islam is alright and Muslims are OK so long as they are not too visible. This attitude is generating human rights violations and needs to be challenged," Perolini said.